Some drivers are unaware a secret third lane exists on UK motorways. This one weird trick could increase the capacity of the UK’s motorway network by around a third. Because seemingly some drivers are unaware a secret third lane exists on motorways all over the UK. To the left of the middle and outside lanes of the motorway there is a third lane which drivers are allowed to use. Don’t believe us? We consulted the Highway Code and it’s true. Clause 137 and 138 states: “A dual carriageway is a road which has a central reservation to separate the carriageways. “On a two-lane dual carriageway you should stay in the inside (left) lane. Use the outside (right) lane for overtaking or turning right. After overtaking, move back to the inside (left) lane when it is safe to do so. Please share to raise awareness! ***The penalty for driving in the middle lane can be roadside education, a requirement to attend a driver awareness course, or three points and a £100 fine. 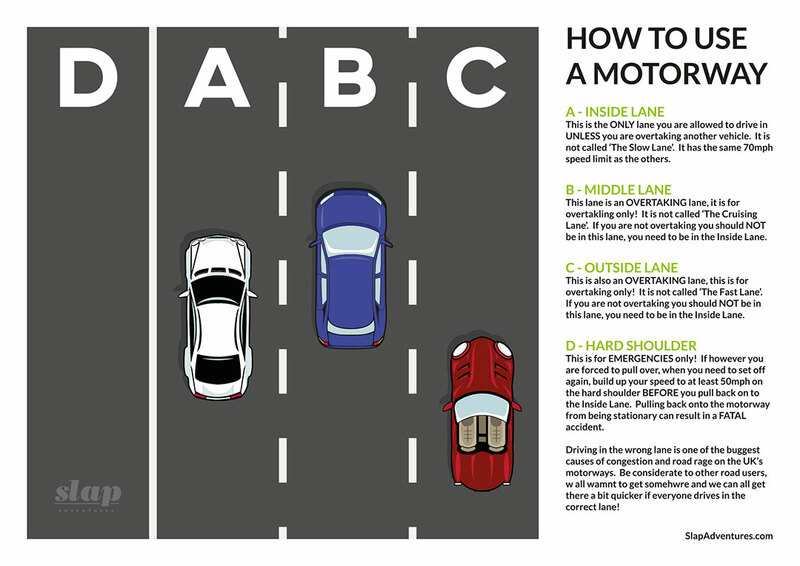 What constitutes a middle lane hogger? Rule 264 of the Highway Code states: “You should always drive in the inside (left) lane when the road ahead is clear. If you are overtaking a number of slow-moving vehicles, you should return to the inside (left) lane as soon as you are safely past.